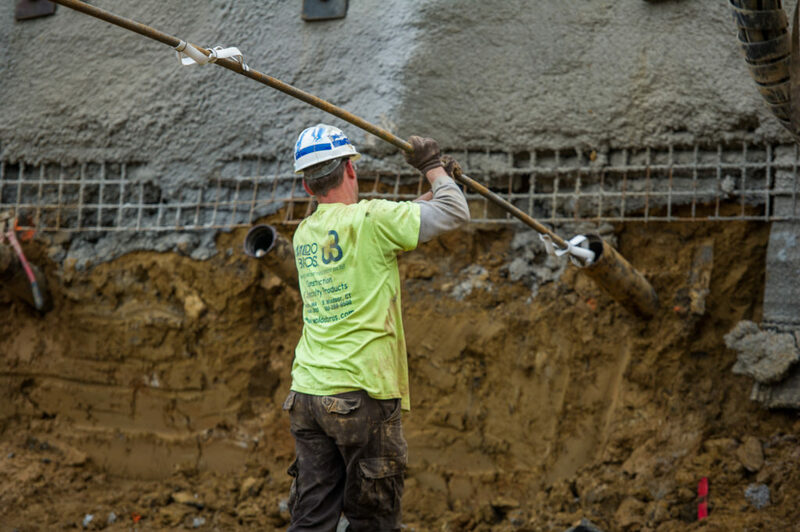 Soil nails typically are utilized for slope stabilization or remediation and have proven to be an efficient and cost effective solution. Soil nails are used for both temporary and permanent applications. This construction technique involves reinforcing and strengthening of the existing ground by installing a series of closely spaced bar called nails. 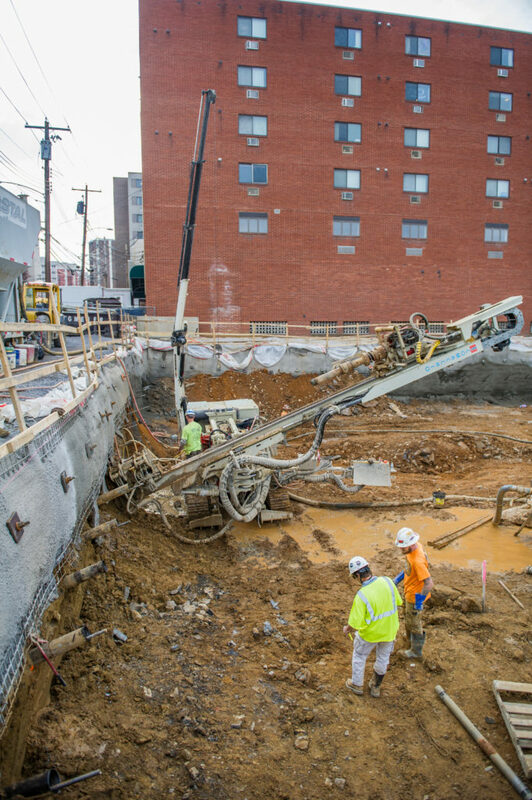 Soil nail systems are very diverse and can be designed to achieve the specific required project objectives. 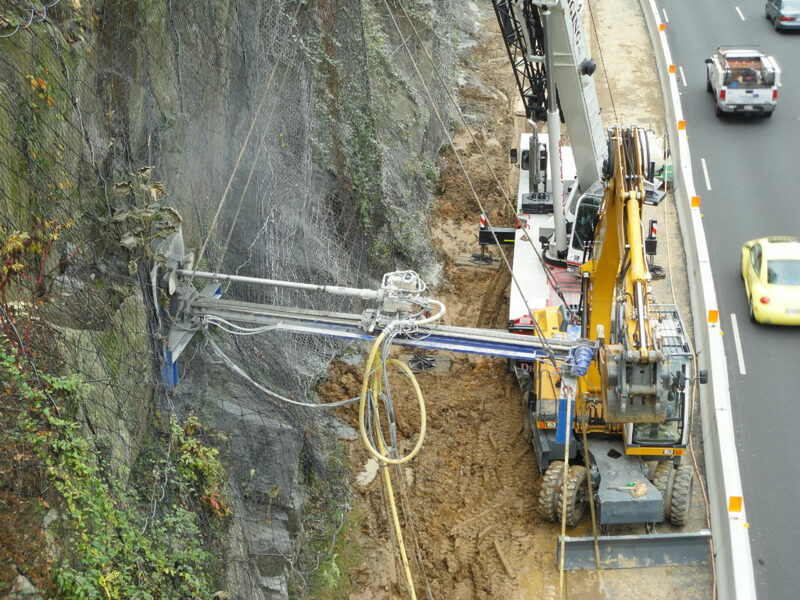 Flexibility in size, depth of the nails and installation techniques, such as grouted and self-drilling nails, allow the wall to be tailored to the geological conditions of the site. 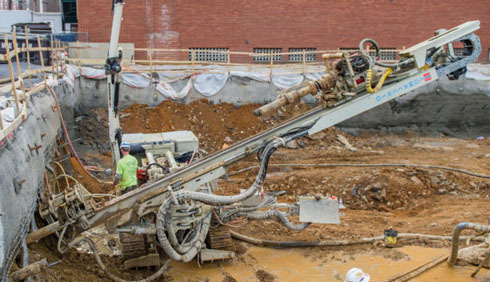 Soil nailing is a method in which reinforcing bars, also known as threaded bar, are drilled into an existing slope. These bars can either be solid or hollow; solid bars are fitted into the pre-drilled holes and then grouted for stabilization whereas hollow bar can be drilled and grouted concurrently. 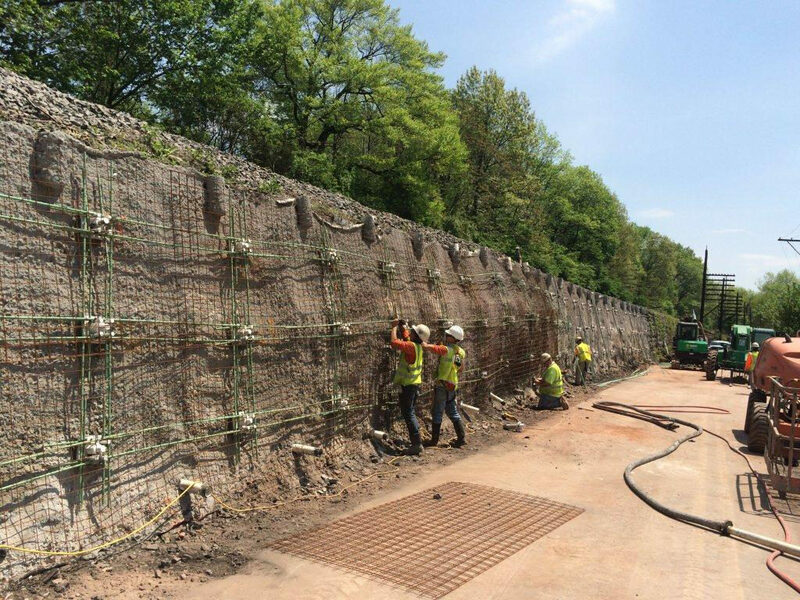 This method is effective when stabilizing retaining walls or embankments. A cut in the earth is excavated and temporary bracing can be utilized as needed. Soil Nails mechanically link the slope by placing a series of regularly spaced nails across the face. 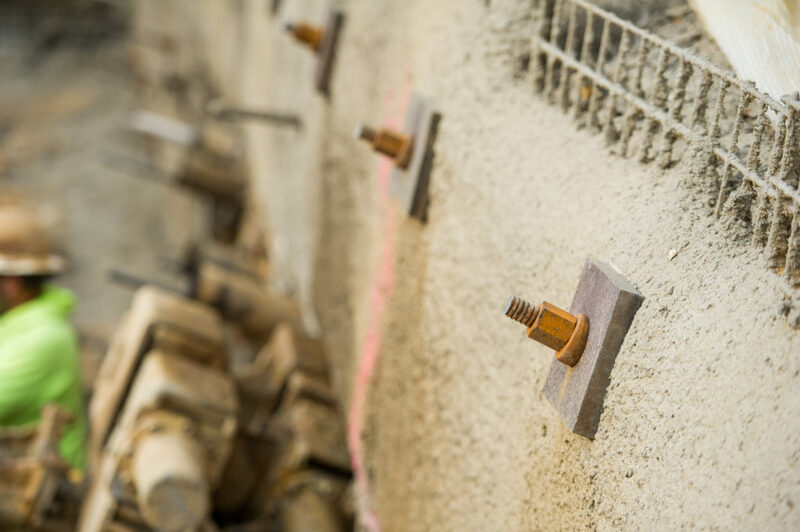 Upon placement of the nails, a shotcrete surface treatment can be placed to tie the individual nails into a system. This layer provides load distribution and increased stability. 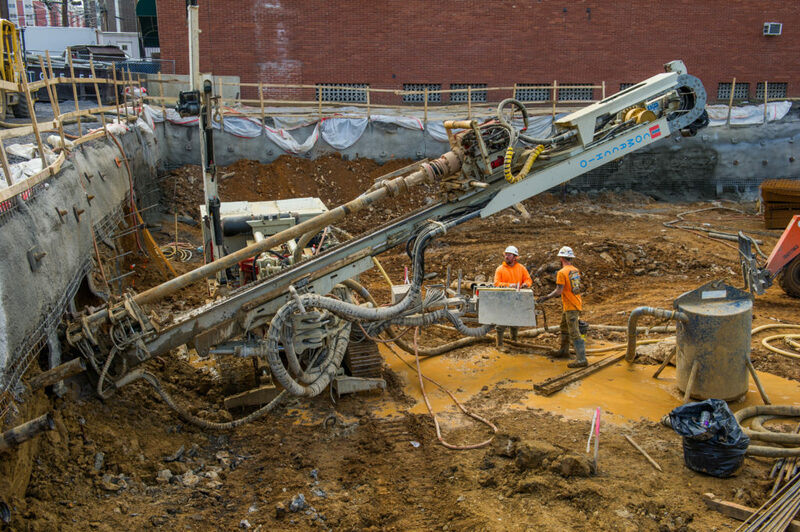 Excavation utilizing soil nails is typically carried out on progressive stages or rows with the completion of each row facilitating top down excavation of that section.